NOTE: This item is classified as ORM-D. Due to shipping regulations these items can only be shipped via Ground in the Continental United States. ORM-D items cannot be shipped to PO boxes. ORM-D items are non-returnable. 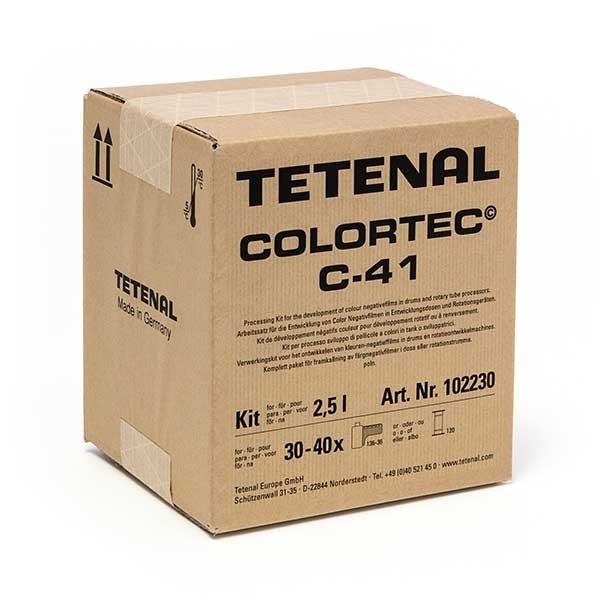 The Tetenal Colortec range offers you a high level of performance, quality, safety, convenience, environmental friendliness and service. Colortec - the best available technology for color chemicals. 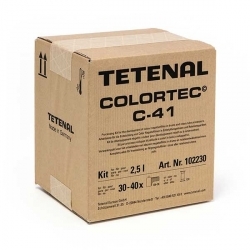 Tetenal Colortec C-41 Rapid 2 Bath Color Negative Developing Kit has been specially designed for optimal development of each type of C-41 compatible color negative film using rotary process. Capacity: Approximately 30 rolls of 35mm x 36 exp.